John and Sarah Levitt circa 1858 John Levitt (1782 - 1858) and his wife, Sarah Thompson Levitt (1783 - 1871), were born in the Parish of Kirk Ella, a small village in Yorkshire, England, which is semi-rural and peaceful even in the twenty-first century. Nearby hamlets of Rowley, Rawdale, Swanland, South Cave, and Little Weighton are some of the towns where our Levitt ancestors once lived. John and Sarah were married in the parish of Rowley, Yorkshire, near Little Weighton, and proceeded to have eleven children. They were fortunate: all of them survived infancy and childhood. In 1831, with many of their children grown and independent, John decided to try his fortunes in the New World. He was then 49 years old. With them came three sons, William and Robert and John, and one daughter, Mary. John, his wife and their children first are found in Wood County, Ohio, near the Michigan border. The Levitt family stayed in Wood County long enough for Mary Levitt to meet and fall in love with farmer John Adams, whose father had been one of the original Wood County pioneers. Mary and John Adams were married 17 March 1836. William, born in 1804, moved to Monticello Township in 1838, and the following year moved to his farm in Apple River. Robert Levitt also met his future wife in Ohio. 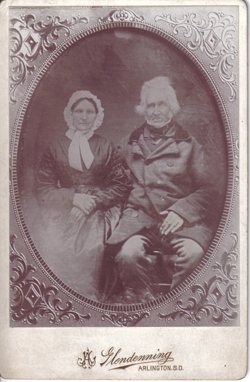 Robert and Elizabeth Redfearn were married in Hancock County, next door to Wood County, on 28 December 1836. They had five children in Ohio before moving with their family to Lafayette County, Wisconsin, where their last four children were born. By 1840 John and Sarah had moved to Lafayette County, Wisconsin, where they would spend the rest of their lives. Their township, Monticello, lies on the Wisconsin-Illinois border. It never became an established city; in fact, for many years the post office was Apple River, Illinois. Business and social life was centered in Apple River, although most of the Levitt land lay in Wisconsin. John Levitt married Sarah Alderson in Wisconsin in 1844. One by one, additional Levitt children came to Wisconsin to join their parents. Ann Levitt had married Thomas Hall in Rowley, Yorkshire, England, in 1829. Thomas died in 1853. A few years later, Ann took their five children to America, where they joined her brothers in Lafayette County, Wisconsin. Thompson Levitt was born in Little Weeton (Little Weighton), Yorkshire, in 1819. 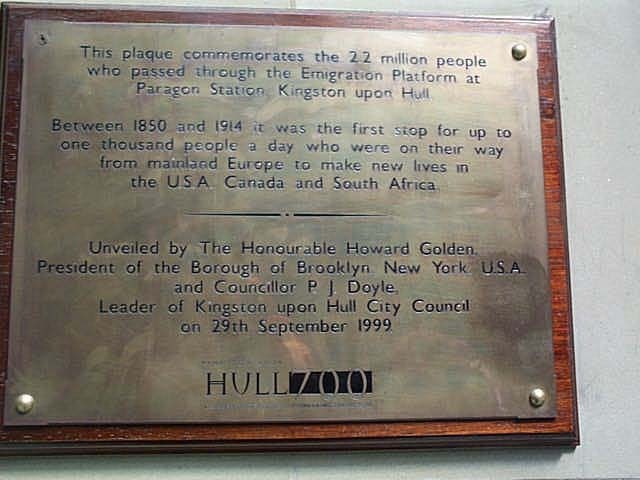 He married Jane Hodgson in England in 1839. In 1865, nine years after the birth of their eighth child, the family came to Wisconsin. Richard Levitt, born in England in 1822, stayed in England, probably with an older brother or sister, until he reached the age of 19, when he came to America. By 1849 he had met Jane March, whose family had come from Swaledale, in Yorkshire. They married in July 1849. Harriet Levitt, John and Sarah's youngest child, was born in England and came to the United States in 1843. She married George Fielding in 1849. Two other daughters, Elizabeth and Sarah, and one son, Thomas, remained in England. Although Thomas never saw America, both of his sons would follow their grandfather. John and Sarah are buried in a small cemetery on a low hill at the northern edge of Apple River, Illinois, on the Wisconsin border. 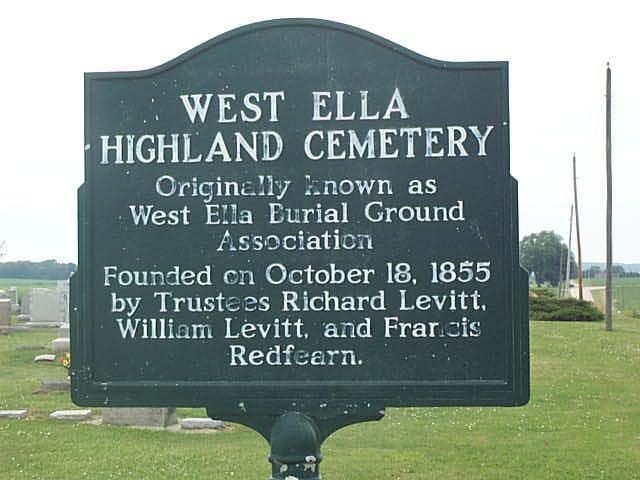 The cemetery was founded by William and Richard Levitt and Francis Redfearn and was named West Ella Highland Cemetery, in memory of the family's Yorkshire home.